Retailers should consider hiring a third-party agency to fulfil their digital advertising and promotional campaigns since it can be quite difficult to embark on a strategy, especially for beginners. As consumers spend more on online purchases, e-commerce businesses should know how to leverage these trends to their advantage. By doing so, companies are able to reach out to a bigger market, especially during the holiday season. 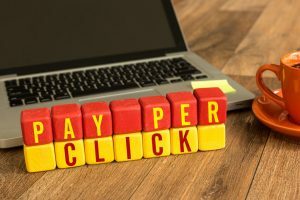 Pay-per-click advertising services would only become more relevant in Australia next year, as there would be different trends shaping the PPC marketing sphere. Advertising experts believe that smart ads on Google have become possible thanks to built-in automation features. For instance, simply typing a keyword on the search bar already provides a host of possible entries that users are likely looking for at the moment. Google and other search engines plan to improve this feature, which allows businesses and marketers to reach their audience more easily. Despite the use of this feature, it does not mean human intelligence and skills will become entirely unnecessary. 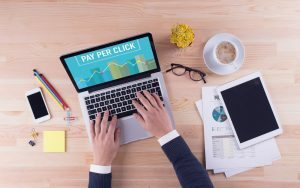 Machines could only do so much when it comes to churning the best strategy for PPC and it is still up to marketers how they plan to outsmart their competition with automated technology. Amazon will continue to be a dominant source of PPC ads in 2019, but other platforms, particularly on social media, will be a prominent alternative for businesses. Retailers should diversify their budget for PPC campaigns and be aware that Amazon is not the only best place for such strategies. Some PPC experts anticipate Facebook’s better format of ads on its platform with a new instant storefront template, which features videos with personalised products for customers. In terms of channels, Google plans to improve its local ads by adding in-store availability and prices for smartphone users. This is important since many Australians use their mobile devices to shop for items online. Another reason to improve your online advertising strategy in the future involves the huge amount spent by Australians for e-commerce transactions. In the period between Nov. 23 and Nov. 26, online sales were expected to reach $1 billion. As Christmas is only a few weeks away, you should expect that many consumers are not yet done with their holiday shopping. They may splurge on some items anytime soon. Other than improving advertising campaigns, you should also pay attention to the stability and performance of your website. IT experts recommend doing a routine check to ensure that your website does not crash during peak shopping days. Otherwise, it would leave a negative impression among customers. Most people do their shopping online for convenience, so dealing with an unavailable website defeats this purpose. Some of the different advertising trends in 2019 are just a continuation of the current best practices, only with improved and better features to maximise PPC campaigns. You have a better chance of achieving success if you consider working with a reliable third-party digital marketing company that specialises in this advertising strategy.